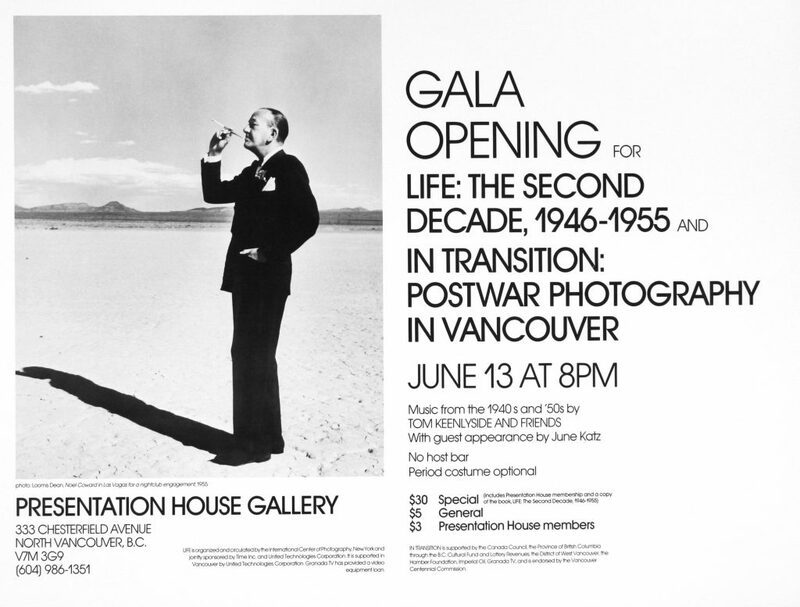 In Transition: Postwar Photography brings together work by relatively unknown yet significant contibutors to British Columbia's recent photographic history. 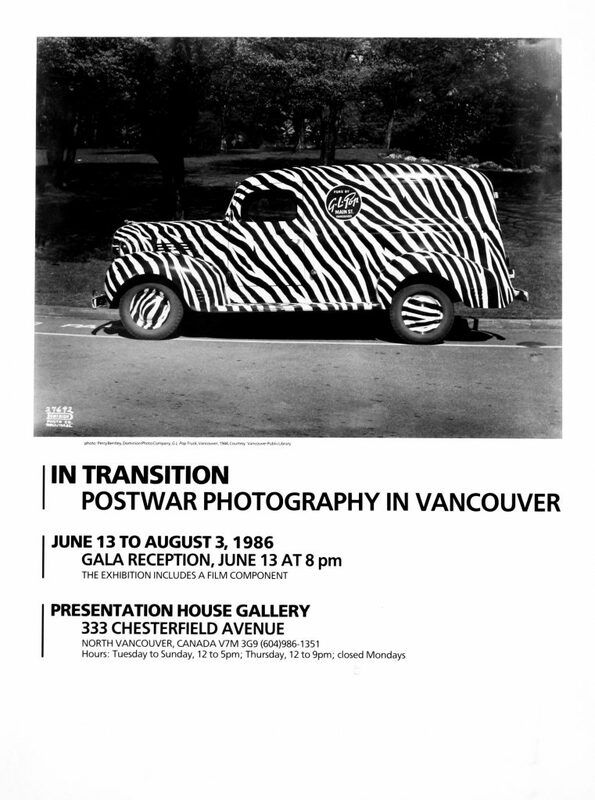 Guest curator, Helga Pakasaar perused private and public archives to assemble a collection of photographs that speak of the postwar era with reminders and revelations. A priority was to locate image collections that expressed a distinctive personal style. The exhibition presents a range of imagery - pictoralism, abstraction, advertising, photojournalism and commercial reportage - that moves beyond the confines of art photography. The exhibition includes works by Percy Bentley, Jack Long, James Crookall, Fred Herzog, and Gar Lunney and others. The exhibition screened three films on video, In the Daytime, 1950 by Stanley Fox and Peter Varley; Skidrow, 1957 by Allan King and Jack Long; Suite Two: A Memo to Oscar, 1947 by Dorothy Burritt and Stanley Fox. The exhibition also included a display of six period chairs courtesy of Allan Collier of Collier Designs. Supported by the Canada Council, the Hamber Foundation, the Province of B, C., the District of West Vancouver, Granada TV, and Imperial Oil. A catalogue was published by Presentation House Gallery in conjunction with the exhibition, with an essay by Helga Pakasaar. 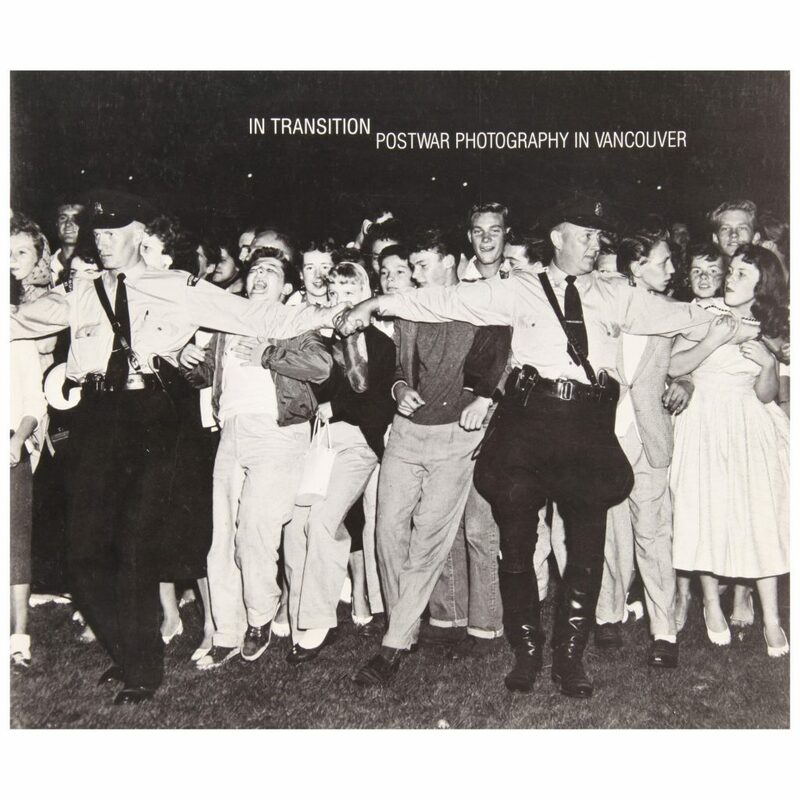 In Transition: Postwar Photography in Vancouver presents a range of imagery - pictorialism, abstraction, advertising, photojournalism and commercial reportage - that moves beyond the confines of art photography. Guest curator Helga Pakasaar's priority was to locate image collections that expressed a distinctive personal style. The catalogue includes works by Percy Bentley, Jack Long, James Crookall, Fred Herzog, and Gar Lunney and others. Text by Helga Pakasaar.